Features: Square Edge Drawer Profile, Hickory Drawer Pulls, solid wood dovetail drawer boxes, metal drawer slides with upgrade to full extension or self closing available. 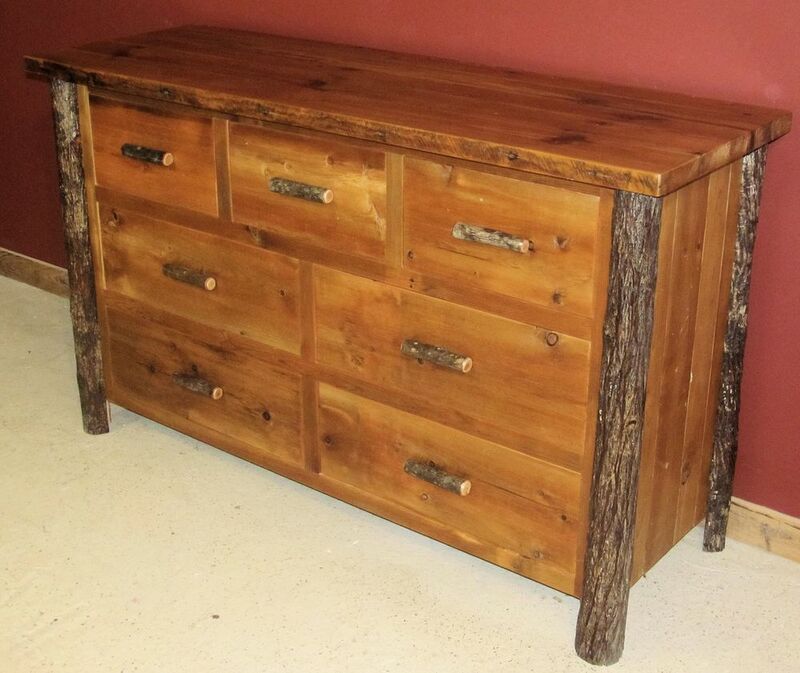 This dresser can be made with either oak, hickory or barnwood! 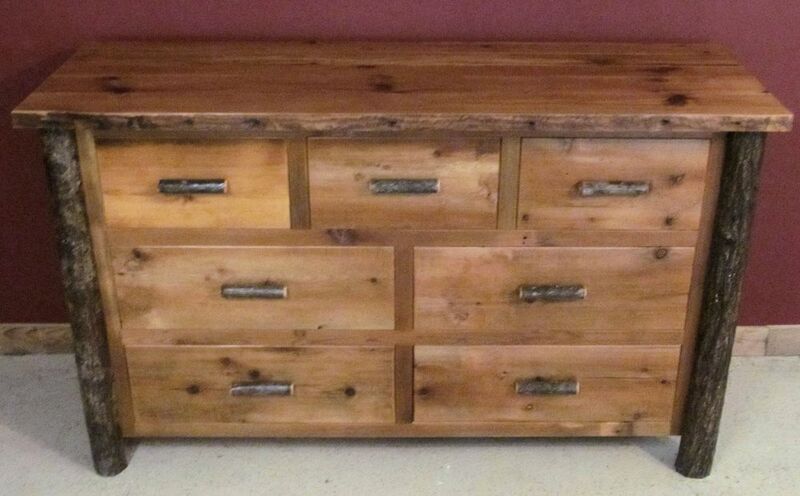 In the below photos, this dresser style is shown with hickory wood and barn wood, as well as with an optional mirror style!